Living cheap in retirement RV living is a great fun, frugal way to retire. It is not a sacrificial way of living by any means. If you like to travel, like to be exposed to different areas of the US, RV travel may be for you. If you dislike the same daily regimen, enjoy making new friends, RV travel may be your thing. If you have never tried RVing I would suggest you talk to people you know that have enjoyed the RV lifestyle. Visit campgrounds, mingle, chat and become familiar with the various types of unit. The right one is waiting for you, go find it. 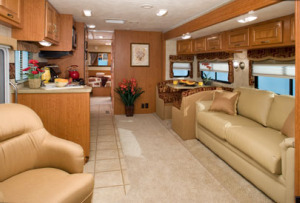 You will find that RV living can be enjoyed from spending somewhere between $3000 and $2 million. Since this site is devoted to https://www.frugal-retirement-living.com I would think the readers would tend to be somewhat on the low side of that spread. Remember you'll be breathing the same air whether you are in a $2 million rig or a pop-up camper. This is the entry level to RV life...the pop up camper. They are inexpensive, less than $5,000. They are also easy to tow, the family SUV should work fine. They are light making them very maneuverable. You can set these up anywhere. This definitely living cheap in retirement RV life at it's most frugal. If you need a few more amenities, the RV industry has got something for everyone. 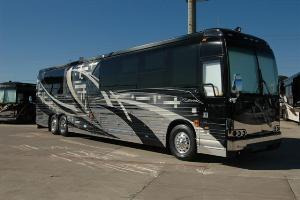 This is the top of the line motor coach...a Prevost conversion. It will cost over a million dollars new. They have every imaginable feature and then some. If this is you...you are on the wrong site. 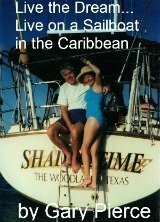 Frugal-retirement-living.com is for saner folks. This not living cheap in retirement RV life for the Donald Trumps. 1) Your perfect unit is somewhere between the 2 examples. 2) With both units can enjoy the same scenery, it's free to everyone. Whether you enjoy seeing the same scenery in either unit is good...you are retired. 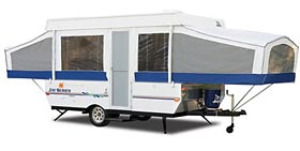 Attend RV shows where the various types of units are displayed for you to walk through and ask questions. Some of these sales personnel are very knowledgeable, some are looking for a quick buck. It is easy to spot the difference...pick the brains of the good ones. If at all possible, rent an RV before you buy. This is a prudent step just in case for whatever reason, the RV life is not for you. Don't worry you will love it. Here is a typical modern RV interior with slide outs. These expandable rooms negate a early objection to RV living...too small a living space. The couch you see folds out into a bed. This is handy for guests, grandkids or both. You will have all the interior options you need to find the perfect unit for you. Remember, RVs depreciate fast...don't dismiss a 3 to 5 year old coach. If it is diesel engine, don't let high mileage scare you. Trucks run the same engines for up to a million miles before needing an overhaul. Among the features of this lifestyle are: no schedules, no alarm clocks, friendly neighbors, if not move until you find someone compatible. You can be as active or as private as you like Rving. Some campgrounds have more activities than daylight. It is up to you how much you want to participate. Go ahead hit the road. Living cheap in retirement RV living, is a great way to retire.